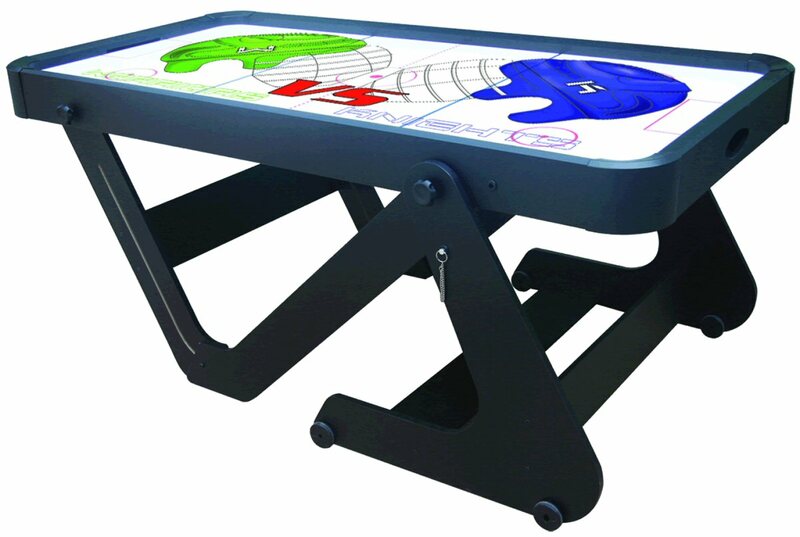 Our BCE 6ft Hockey Table (code H6D-222) is a folding air hockey game that is great fun for all the family. The powerful internal electric fan creates an air cushion on which the puck can move at high speed. This is a robust version of the popular air hockey game found in amusement arcades. What really sets this table apart is that it folds up vertically after use and can be rolled away on it wheels into a convenient storage space, freeing up the play area for other use. Not only great value for money, but also very practical where space is a premium. Great fun for children and adults alike! BCE/Riley offer a large range of games tables, cues and accessories and are acknowledged throughout the world for their high reputation in snooker, pool, table football and air hokey. BCE/Riley sponsors some of the top players end events and are recognised as the leading manufacturer of games tables in the UK.